The My Passport Ultra drive is trusted, portable storage in a design that has a sophisticated style. With plenty of space to store all the content you love, it will help keep all your memories safe and secure. Easy to use, just plug it in to start saving and backing up. Included WD Discovery software connects to popular social media and cloud storage services like Facebook, Instagram, Dropbox and Google Drive. Import your photos, videos and docs to the My Passport Ultra drive to help preserve your online life. Browse through our deals on printers, notebooks, desktops and much more. Shop thousands of quality technology products at low prices. *CDW Special Price for EDC 4757563. No limit per customer. Offer not available to resellers or CDW coworkers. Offer excludes contract pricing. Offer cannot be applied to previous purchases. Offer valid through 5pm (CT), 4/26/19 while supplies last. 37% savings based on the difference between MSRP and CDW Special Price. 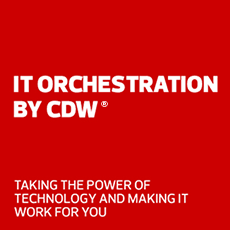 CDW helps IT professionals solve their most difficult problems with more than just the best technology — advice, experience, solutions and services are yours for the asking. Looking for value? CDW has many opportunities for you to take advantage of desktop deals, laptop/notebook deals, monitor deals, printer deals, data storage deals, server deals, networking deals and more.